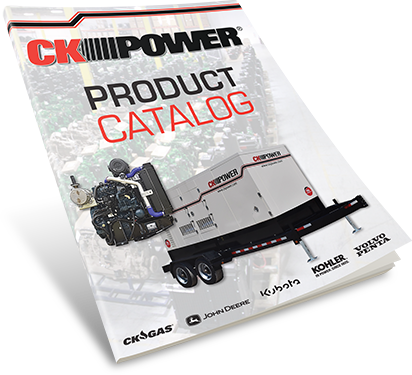 At CK Power, our sales team is dedicated to listening and understanding your power solution needs. We know we can’t live up to our goal of becoming your complete source for engine and generator power before we do that. To be successful, we know that our sales team must be staffed by outside-the-box thinkers with a desire to solve problems AND an inside-and-out understanding of the power generation industry. That’s why we make sure that every one of our sales representatives has undergone extensive training alongside the manufacturers whose lines we carry. It’s why we make sure that they’ve also completed hours of in-house training to understand developing markets and technological advancements with our products. And it’s why we’re committed to the ongoing training of our sales staff, so that they’re able to assist you in finding the right solution for your power generation needs, not just the one that’s ours. If you’re ready for a no-pressure conversation with our experienced sales staff, we’d love to hear from you. You can get in touch with our sales department directly, or research our product offerings to determine which of our manufacturers lines may work best with your application. We hope to hear from you soon.